Well, here it is: my first official post for iCAMLIFESTYLE! A quick shout out to the curator, originator and queen bee of this great site, CD; thanks for the opportunity! I'm Rob and I'll be your guide through the ever-exciting world of menswear. It's a fashion segment that is very near and dear to my heart, being of the male variety, and can be far more fun than you think. It will be my pleasure to bring you some looks, musings, style-guides, do's and don't's and inspired ramblings having to do with menswear and styling. Now that the niceties are over and without further ado, let's get this post going! If you've been living in the Northeast region of the United States recently (specifically, NY), you have probably been experiencing the temperate weather with which we've been "blessed." While this is sure to spell impending doom for us in the latter months of the season, it does allow for some playful mixing of your wardrobes. 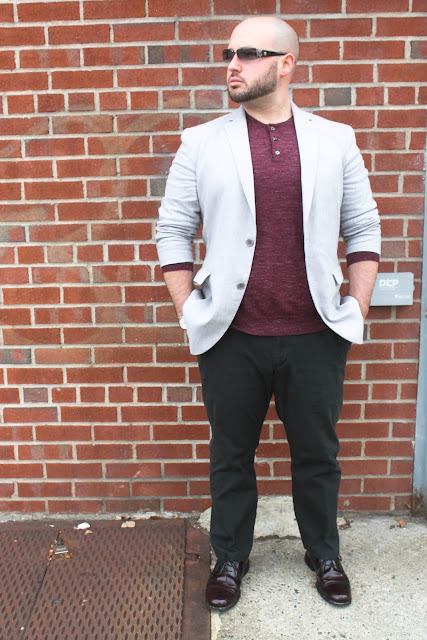 It gives you some leeway to pull out some fabrics usually only seen in the warmer weather and experiment with some fabric/color combinations you wouldn't usually get to play with in the colder months. 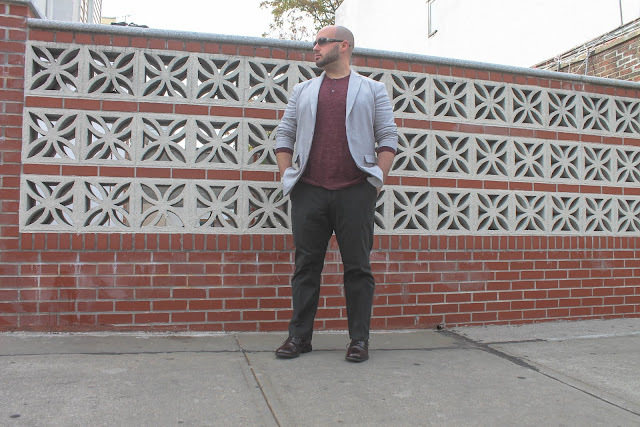 For a smart, casual look, I pulled out my grey linen blazer and paired it with a burgundy wool and linen Henley and some black brushed cotton 5-pocket pants. 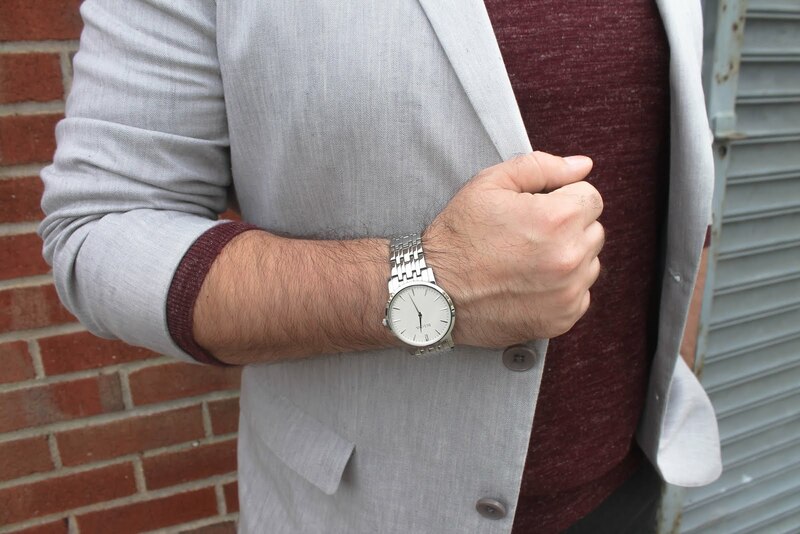 To cap off the look, I threw on some burgundy Oxfords, a clean, simple stainless steel watch and black sunglasses. It's the perfect outfit to wear if you have a quick lunch meeting to get to and you need to look pulled together but not stuffy; casual, but still professional. It's the same outfit you can then wear shopping on 5th Ave., out to dinner and/or hit a rooftop bar with outdoor heaters with some friends and that special someone. Add a beenie and scarf if it gets particularly chilly and you've got yourself covered all day/night. This is an excellent way to stay comfortable yet still look the part. 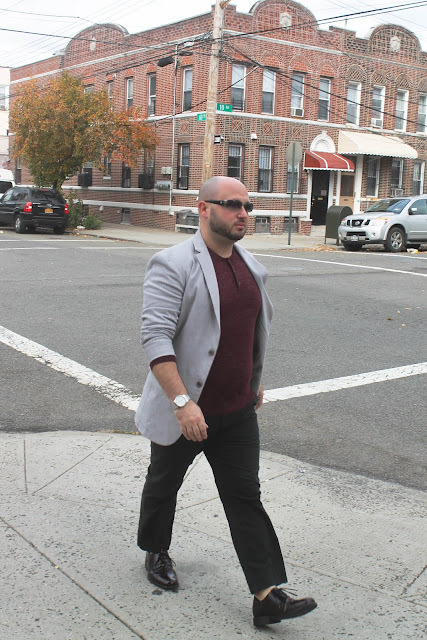 It's your not-so-casual, casual look that can be very versatile for you. Always play with color, texture and fabric combos and see what you like. Experimenting like this will help you develop your own style and will teach you what does and doesn't work (which will save you time in the long run) for future outfits. 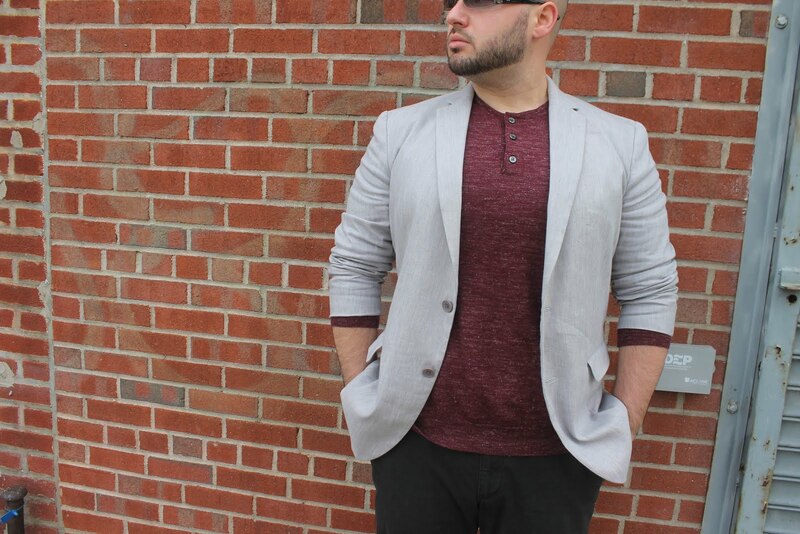 Seize opportunities to show some of your personal style and flair and a chance to have some fun with your clothes. Remember: it's YOUR style. OWN IT. WORK IT. HAVE FUN WITH IT.